MIXPAC Colibri mixing tips have an integrated needle tip for intraoral placement of automixed materials. They are designed for precise application of materials dispensed from 1:1 dual-barrel syringes and cartridges, including silicone impression materials, core materials and resin cements. 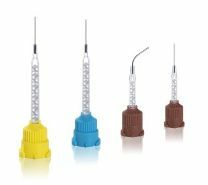 The innovative design eliminates the need for attaching separate intraoral tips by seamlessly integrating medical-grade stainless steel intraoral needles on traditional color-coded mixing tips (brown, light blue, and yellow). The needles are available with 17- or 20-gauge lumens, rotate 360°and are bendable to the desired angle. Consultants evaluated the 17- and 20-gauge brown tips for syringes and 20-gauge blue and 17-gauge yellow tips for cartridges. Twenty-eight consultants used MIXPAC Colibri in 647 uses. The product received an 86% rating. MIXPAC Colibri provides an all-in-one mixing tip with no assembly required for intraoral delivery. This promotes clinical efficiency and eliminates the risk of the tip coming off during extrusion of the material. The tips must be paired properly with the material to ensure that proper mixing occurs. The long, narrow needle tips are specifically indicated for use in post spaces. 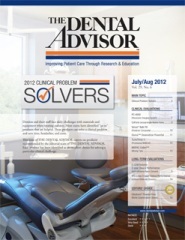 Consultants found them most useful for post cementation, although they were also useful for general procedures. Consultants used the brown tips on syringes of resin cement and core material. The smaller 20-gauge tip is effective for low viscosity cements while the larger lumen is necessary for thicker cements and core materials. The yellow mixing tips are used mainly for placement of light body impression material. Only 10% of consultants found a use for the light blue tips. Each mixing tip is individually packaged in a clear wrapper for clean storage and easy identification. Forty-six percent of consultants found MIXPAC Colibri mixing tips to be better than their current intraoral tips and 25% reported that they were equivalent. Forty-six percent would switch to MIXPAC Colibri and 61% would recommend the product to a colleague. Order samples from your OEM manufacturer or retailer to check compatibility with your syringes and cartridges. Use the yellow tips for sub-gingival placement of impression material.